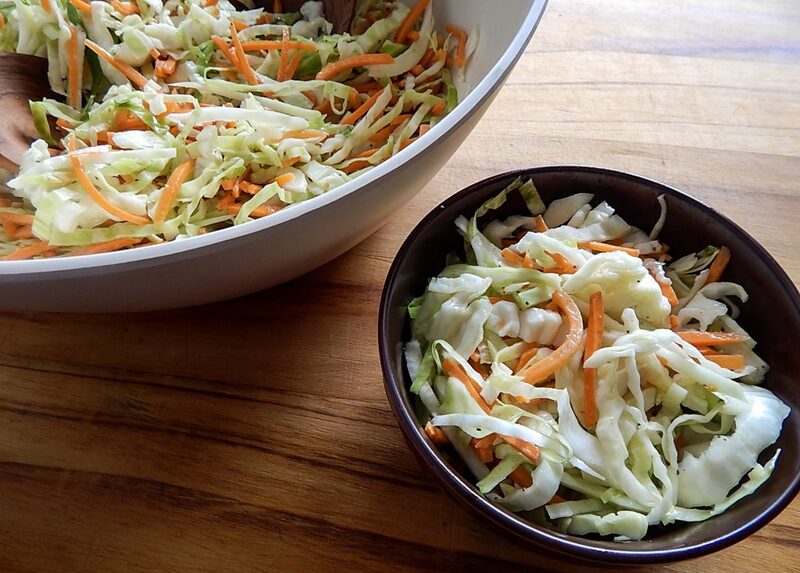 Coleslaw is the perfect side dish for BBQ season. It has crunchy cabbage and is slightly sweet from the carrots and dressing. This version has an oil and vinegar dressing that is much lighter than the traditional mayo dressing.